In the previous post How To Easily Build A Profitable List From Your Blogs I discussed how you can start building a list of email subscribers from your blog. And if there’s one thing every email marketer wants to know, it’s the answer to this question: “When is the best time to send an email?” By the time you finish this article, you’ll finally know the answer. You see, it’s pretty obvious why this question gets asked so often. If we email marketers know when our audience is sitting at their computers, then there’s a better chance that they’ll see our emails. If they see it, they might open it, click on our links, take out their credit cards and buy our stuff. And so email marketers try to find the “sweet” spot: That point when the recipient’s email inbox is fairly empty, so your email will be easy to spot. Maybe you want to find a time of the day when the recipient has a few minutes to spare. Perhaps you look for a day of the week when it’s likely our subscribers are sitting at their computers. But for the most part, it’s guesswork. And just guessing the best time to send an email doesn’t put money in your bank accounts. Step #1: Find out when most of your readers are online. Don’t guess! Instead, go to your traffic logs. Find out when your website is the busiest. And in particular, find out when most of the people on your list joined your list. If you can find a pattern where they joined on a particular day and approximate time range, then that is probably the best time to send an email. TIP: If you have a global audience, then people who sign up for your list on their lunch break in London is a completely different time then those who are joining during lunch time in San Francisco. If you use a service like Aweber, you can segment your list by region, which allows you to more easily send emails to a global audience. Aweber will also allow you to send out your follow up emails only at specific times relative to each individual subscribers time zone (I highly recommend doing this). Step #2: Track and test your results! Just because your traffic logs and autoresponder statistics suggest that most people joined on their lunch break doesn’t mean noon is the best time to send an email. Instead, you may find that your list is most responsive late at night, after their home from work and the family is asleep. Or you may find that they’re most responsive to your offers first thing in the morning. Point is, finding out when your audience is online serves as a starting point. But ultimately, you need to test your list to find out when they’re most responsive. That means creating identical emails, splitting your list, and sending your emails out at different times of the day (and even different days). In short: Let your subscribers vote with their wallets. Tracking and testing is the only way to know for sure when your list is the most eager to respond to your offer. 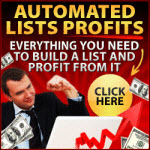 If you liked that tip and think it will put a few extra dollars in your pocket this week, then you’ll love the list-building secrets that will blast you into an entirely different income bracket! Claim a your free Silver Membership at eMarketersClub (normally $27.00) – Just Use This Special Link For Free Access!